The weather is great. Everything is great. I listen to Foxes's new album and enjoy my life. Even the exams don't seem to me like a complete disaster right now:)The sun always brings this positive mood to me. I have a week off, so, now I can normally sleep and, of course, prepare for exams. 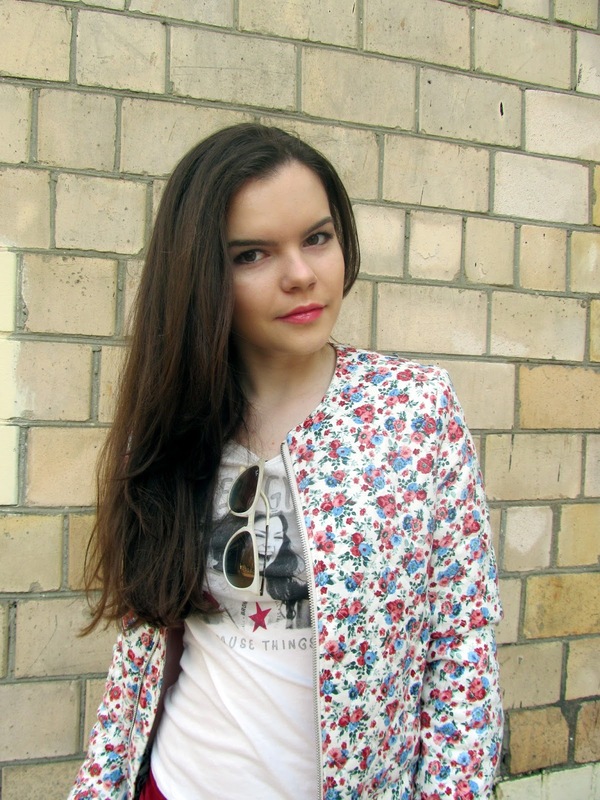 Today I've decided to go for a walk and show you my new floral jacket from Bershka which I bought for spring and probably for summer because summer is not usually really hot in Russia. Oh, and I also have bought a new lipstick. You can see it on my Instagram (if you haven't seen it yet). Now tell me in comments what did you buy this month for spring? And don't forget to join me on Twitter, Facebook and Instagram!